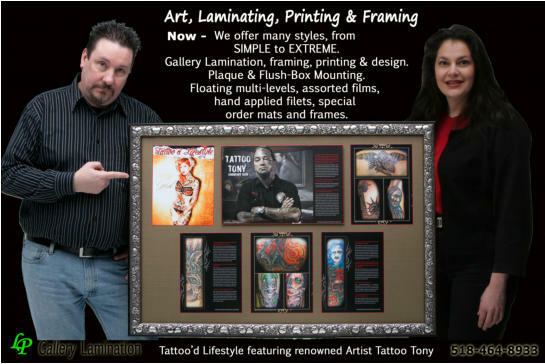 We provide our services through-out the United States to all types of industries & businesses in corporate America, decorators, printers framing galleries & shops and to you! 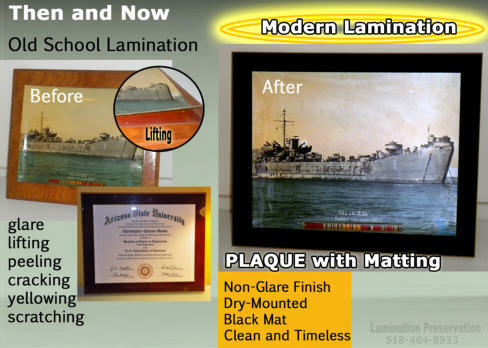 Welcome to Lamination Preservation Gallery & Framing On-Line! NOW - We wanted to be more connected to and in the heart of our neighborhood, rather than in a Mall on the outskirts of our town. We took a leap and decided to move into a dilapidated Strip Plaza. It was right in the heart of our community. We moved into the strip plaza in the Fall of 1998. The Plaza was undergoing a major renovation. We were the first and only tenant, through-out the very long very cold winter until the summer of 1999. We celebrated the completed renovations and fellow tenants moving in by hosting the 1st Community Day the Plaza ever had. We enjoy and have always felt it is a responsibility to be a part of the fabric of our community. You will find us involved in many local neighborhood and charity activities. We began with one product, the plaque. Now, we have expanded our product line, producing Custom Made wall decor, providing printing, laminating, mounting and framing. 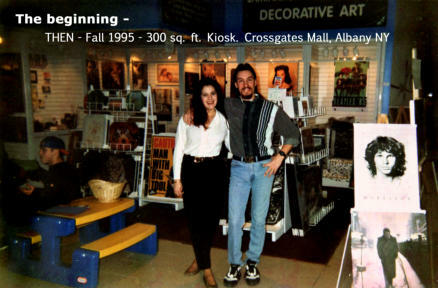 THEN - Humble beginnings in the Fall of 1995, with just a 300 square foot kiosk in a corner of the second largest shopping Mall in New York State. We had one Lamination style and carried a couple of poster companies. Our set-up was a few folding tables and a coloring table for children. Two months into our adventure, we expanded moving into a new 2000 square foot in-line storefront within the Mall. We offered a huge retail selection and custom service for personal items. After spending just three years in the Mall, we had grown to 3600 square feet of retail space. This “framing” style may be new to you. However, the concept of Plaque and Flush-Box Mounting has been around for quite awhile. Back then it was not nearly as refined as our process is today! We found one piece from the 1960’s. It had been made in Copenhagen. It was a drawing mounted on chip-board and had a thin decoupage type coating on the photo. The oldest piece we have seen was brought to us to be restored. It was from the 1940’s. Old school style! A slab of wood with laquer on the surface. During the 1970’s modern Plaque and Flush-Box Mounting made it’s debut in North America. We have been making, developing and refining our Lamination craft since 1995.